Krossblade Aerospace Systems LLC has surpassed their $200k goal on KickStarter. With 17 days left to go, Krossblade has already raised $213k, that’s already 105% of the goal raise. 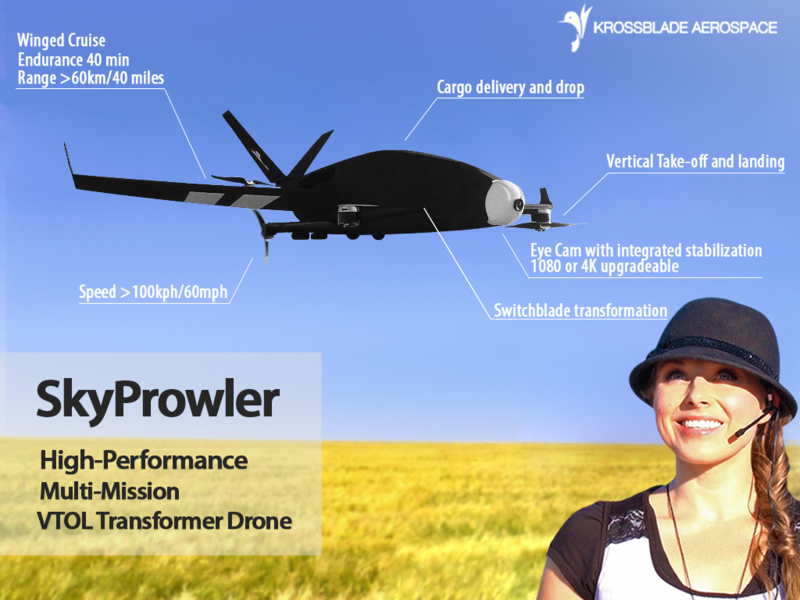 Thanks to the support of the drone/uav community, the Krossblade SkyProwler VTOL Transformer UAV will be built. 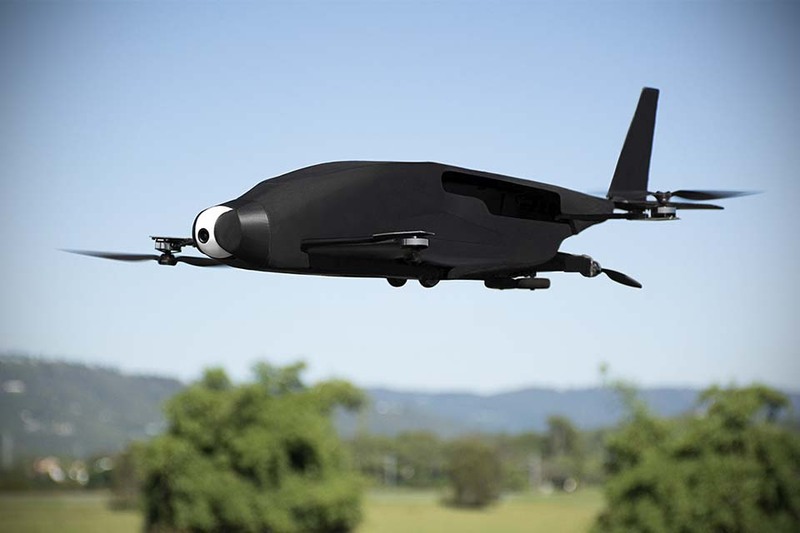 This innovative aircraft will have the VTOL capability of a traditional multirotor combined with the efficiency of an airplane. While in flight the multi rotor system that allows for the vertical takeoff folds into the craft’s body. This ‘Blade’ configuration gives much better aerodynamic properties and a higher speed that can be achieved, up to a top speed of 83 miles per hour. A third configuration that the company calls ‘Hornet’ is a multi-copter without the wings gives added maneuverability to the standard quadcopter design. Pricing is planned to start at $2,799 to $3,199.